I watched in horror that morning seeing planes fly into the Twin Towers; and afterwards, I saw the Twin Towers fall down—like a building imploding (fell right down in its own tracks). But nothing happened to Building 7 until that evening! And then Building 7 went down (47 stories high). All three Buildings went….But there were those on the scene who heard explosions! … Twenty-nine hundred (2,900) people from different parts of the world lost their lives—policemen lost their lives, firemen lost their lives, EMT[s] lost their lives; and many people died afterward just from inhaling the dust….and George Bush was in Florida in a school, reading a book to babies. 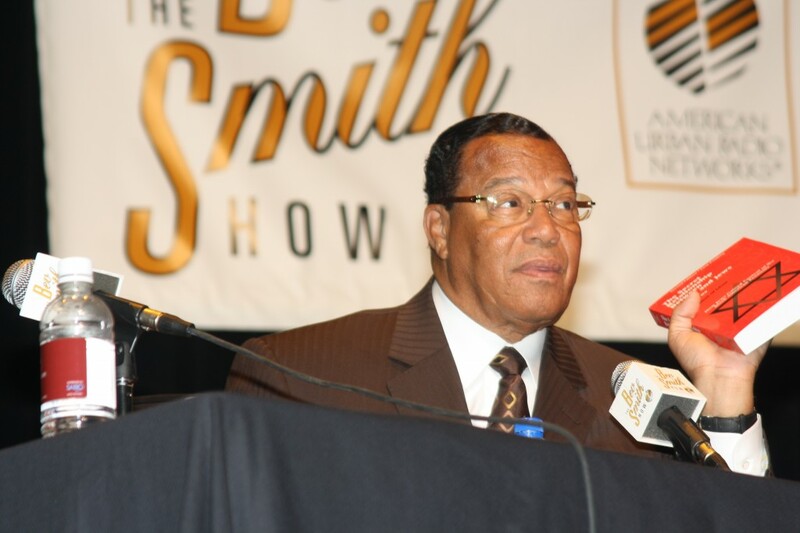 Mr. Gage, since you presented your findings at the Nation of Islam’s Saviours’ Day Celebration in 2012, what new information have you learned about the World Trade Center collapses? ANSWER: The evidence has remained consistent since 2012. We have found more ways to present it to greater audiences who seem eager for additional resources with which to educate their friends, colleagues, elected reps, media personnel, and academics. Particularly our new 50-page booklet at www.BeyondMisinformation.org , or the $215K dynamic computer analysis of the collapse of WTC 7 at the Univ. of Alaska at www.WTC7Evaluation.org , and our latest film, which we are screening across the US right now, Firefighters Architects Engineers: Expose 9/11 Myths and its 3-min trailer. The firefighters of New York have now joined the architects’ and engineers’ call for a new investigation. What evidence led them to question the official story? ANSWER: There are several former FDNY fire fighters that question the official story of 9/11 and support AE911Truth such as Rudy Dent and others that signed a statement of support at Firefighters for 9/11 Truth and Unity, founded by former Seattle firefighter Erik Lawyer. What is the best evidence you can present that proves that explosives and NOT PLANES brought down the WTC buildings? 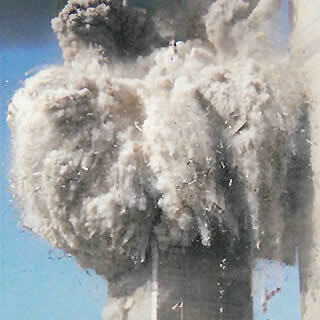 The controlled demolition theory has been subjected to thousands of hours of consideration by qualified professionals. Peer-reviewed papers have been published, showing why the official account is impossible. We acknowledge that there are other conflicting papers, but when there are conflicting papers on such an important issue, then more investigation is required. Given that open-air jet fuel fires and normal office fires both burn at a maximum of around 1,500° F., and the melting point of steel is around 2,700° F., what thermal energy source produced the several tons of molten metal[ii] observed flowing out of the South Tower shortly before its collapse – and also seen for weeks after 9/11/2001 in the basements of the Twin Towers and Building 7 by numerous witnesses[iii], including the WTC structural engineer, Leslie Robertson. What explains the chemical evidence of thermite[iv], an incendiary material found on the ends of so many steel beams and in the WTC dust[v]? FEMA documented in Appendix C of its BPAT Report[vi] “evidence of a severe high temperature corrosion attack on the steel, including oxidation and sulfidation with subsequent intergranular melting”. This is clearly not a feature of gravitational collapse, or of hydrocarbon fuel or office fires. NIST summarily dismissed this key evidence when they took over the investigation. What is the source of the billions of microspheres consisting of previously molten iron[vii] in the World Trade Center dust? The United States Geological Survey (USGS), in its “Particle Atlas of World Trade Center Dust Report,” and RJ Lee Group, Inc., an engineering firm, in its December 2003 “WTC Dust Signature Report: Composition and Morphology,” both document these once-molten drops of metal without explanation. These microspheres also contain the chemical signature of thermite, an incendiary material used by the military to cut through structural steel. What mechanism can account for the simultaneous failure of the critical number and distribution of columns required to produce this rate of acceleration? NIST now attributes the catastrophic collapse of Building 7 to a new phenomenon called “thermal expansion” due to “normal office fires” with little to no contribution from falling debris or diesel fuel. At this suggestion by NIST, are we to suddenly accept that our understanding of fire science, materials and structural behavior has been deeply flawed all along? The American Institute of Architects (AIA) has steadfastly resisted changes to building codes that have been proposed after 9/11. Here is the potent 5-minute AE911Truth executive summary testimony[ix] delivered to NIST on December 18, 2007. Why did more than 100 FDNY first responders describe, in great detail, the sounds of explosions and flashes of light that they saw and heard just before and during each tower’s collapse? Why did we not know about these thousands of pages of FDNY “oral history” evidence until August, 2005 – and only then after a court order for their release? FDNY’s own Chief of Safety, Albert Turi, and FDNY’s chief, Ray Downey, the “premiere collapse expert in the country” according to a fellow chief, both spoke of the presence of explosives in the Towers prior to their failures. More than 100 testimonies[x] referring to multiple, violent explosions were ignored and unreported by the 9/11 Commission, NIST, and FEMA. What was the energy source, and through what mechanism was it applied, that pulverized 40,000 cubic yards of concrete into powder[xi] in mid-air that blanketed Manhattan? Calculations[xii] show that the energy requirement for this pulverization and the rapid expansion of the subsequent dust clouds was far greater than the available gravitational potential energy of the structures. This simple energy imbalance alone proves the official explanation impossible. Is this the same energy source that is responsible for the vaporization of more than 10,000 steel file cabinets and 1,100 human bodies that were never found, not even the smallest traces of DNA? How were 4 ton steel members ejected[xiii] from the Twin Towers at 70 miles per hour – and landing 600 feet away? A simple gravitational collapse would only allow up to 100 feet of “drift”, so what provided the energy required? Why were virtually no floors found[xiv] at the base of either Twin Tower? There were originally 110 floors in each Tower – each of them one acre in size. What explains the disappearance of 220 acres of four-inch thick concrete (180,000 tons) and the steel decking and trusses? What caused the explosive ejections of pulverized building materials[xv] as many as 60 stories below the rapidly descending “collapse” of each Tower? These so-called “squibs” can be seen in many publicly available videos and show materials being ejected at over 160 feet per second. Why were most windows in other buildings within 400 feet of each Twin Tower blown out[xvi]? This has never been observed following other gravitational collapses. What was the energy source here? An international team of scientists has found nanothermitic explosives residue[xvii] (not ordinary thermite) in the World Trade Center dust. NIST has refused to test for explosives residue, saying that such tests “would not necessarily have been conclusive.”[xviii] This was clearly nonsense, even before others found the residue, especially since NIST did not test for ANY kind of explosives residue. NFPA 921 requires such testing when there is “high order damage,” as there obviously was at the World Trade Center, and it mentions ordinary thermite by name. Even if NFPA 921 is considered a guideline and not a law, the failure to follow it in this case is inexcusable, and might very well have helped allow as-yet unknown perpetrators to escape justice. Surely the FBI also has investigators who are aware of NFPA 921 and could have ordered such tests long before NIST was ever tasked with investigating the WTC’s destruction. Are you aware that the same architectural firm that designed WTC7 also designed Trump Tower? Should Donald Trump be concerned that a small fire may collapse Trump Tower. ANSWER: There have been no changes to the portions of the International Building code that govern high-rise structural engineering as a result of the 3 major catastrophic high-rise collapses on 9/11. So, yes, if the official story of these collapses is to be believed, then, yes, hundreds of high-rises in our country, including the Trump Tower, are susceptible to free-fall collapse as a result of “normal office fires,” which are the official cause of the collapse of 47-story WTC Building 7. Has your research uncovered any evidence of foreknowledge by anyone of the 9/11 incident? ANSWER: There is ample evidence of the foreknowledge of the destruction of WTC 7. Here is a quick summary. ANSWER: He may very well be correct; however, this subject is well beyond the technical expertise of the Architects & Engineers for 9/11 Truth. What are the implications, from your perspective, if the American/world public comes to believe that the 9/11 attacks were controlled demolitions AND NOT Islamic terrorism? ANSWER: We at AE911Truth have presented the evidence for the controlled demolition of the three WTC skyscrapers worldwide for the past 10 years. When the American and world public learn of it en masse and digest its implications, I truly fear the wrath let loose upon the perpetrators and the silent consenters – and can only hope that the outcome is a peaceful transformation of our society and its government to one that never again tolerates such abuses of power. 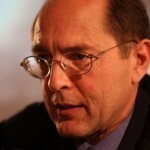 Mr. Gage, the ADL has been particularly vicious in attacking the 9/11 Truth movement. What is their motive? ANSWER: I am not well enough versed in the politics of the ADL to know their motive in attacking the 9/11 Truth Movement. 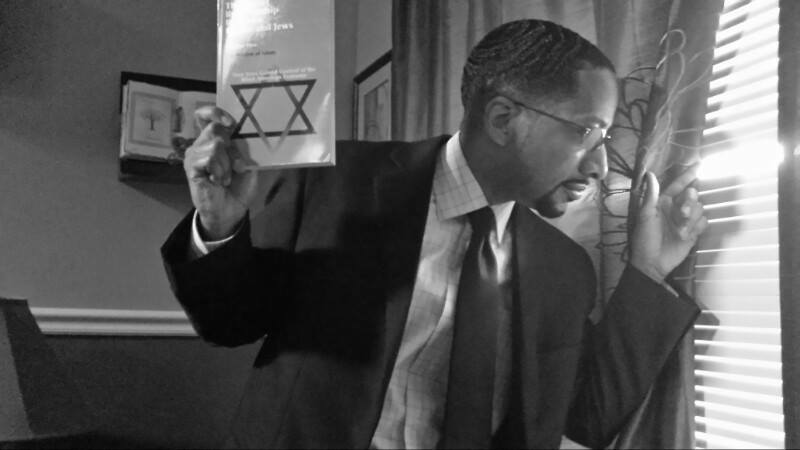 But we do know this: The physics of 9/11 is not anti-Semitic. Richard Gage, AIA, is an architect of 25 years and the founder and CEO of Architects & Engineers for 9/11 Truth (AE911Truth.org), a 501(c)3 educational charity representing more than 2,000 degreed/licensed architects and engineers who have signed a petition calling for a new, independent investigation, with full subpoena power, into the destruction of the Twin Towers and the 47-story World Trade Center Building 7 on 9/11. The more than 17,000 non-A/E signatories include many scientists, attorneys, and other responsible, educated citizens in the US and abroad.